Vroom through the streets in style with Elegant's Gallop Style bike seat cover. The fashionable chessboard print strip and the snug fitting of the cover will give your bike a designer trendy look and protect your original bike seats from wear and tear. 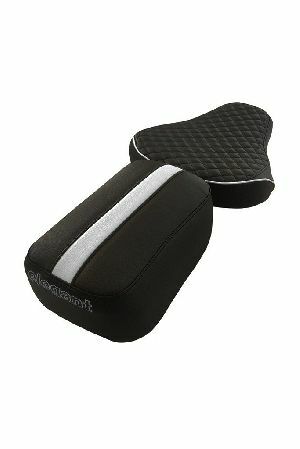 It is custom made for your bike seats and does not slip or move while riding.